. I believe the fitness industry needs to change for the better, where it isn't all about making a quick buck by taking advantage of other peoples desires and emotions. So when you read what I have to say I ask of you to empty your cup and keep an open mind as a lot of what I say may contradict what you have heard. The thing is you do not need to pay for an expensive gym membership or have access to a range of high tech exercise equipment to reach your fitness goals. You can get strong without touching a barbell, you can get a strong core without a stability ball, and you do not need an expensive suspension trainer to train effectively with your bodyweight. You can achieve all the above using only your bodyweight. All you need to do is have a progressive plan, be consistent, and be patient. And you will reach your goals. First what is calisthenics? 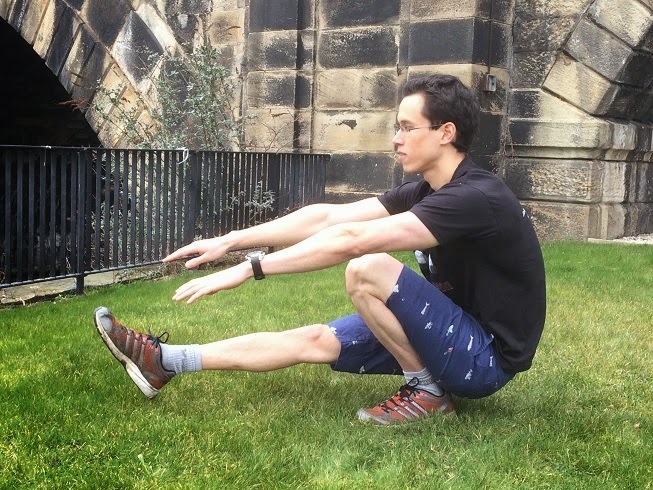 Calisthenics is basically using your own bodyweight for resistance, it’s basically bodyweight exercise. First thing that comes to peoples mind when people think bodyweight training is push ups, sit ups and pull ups. That’s it. Most people think it is only something you do as a beginner first starting their fitness journey, during PE as a child, or in boot camp style circuits. It’s the 20 push ups you did as a kid, the 1 minute plank hold in the gym, the simple crunches people do in the end of their workout or the endless kickbacks I see women do for toning. It’s something most people believe you need to move away from once it becomes too easy and you get serious. Well they are wrong! This point of view is based on ignorance of the endless progressions and variations of bodyweight training. The progressions and variations of bodyweight training are truly endless and you can string the endless progressions one after another to achieve truly mind blowing feats of body control such as the one arm pull up, handstand push ups and the planche. In the process you discover new ways of moving and controlling your body, developing new skills, and keeping your training forever varied and changing. You improve your body without having to resort to the same repetitive weight training exercises. In the process of body mastery you lose weight and get stronger at the same time, without being dependent on a piece of equipment. And you can achieve this whenever and wherever you are, as all you need is your body for resistance and a bit of free space. You aren't dependent on a training apparatus. You don’t need heavy weights, resistance bands, machines, or other odd objects. You are relying on your bodyweight for resistance. This means you aren't reliant on gym memberships, you can train in the privacy of your own home or a quiet park without feeling overly self conscious. You are your own gym. You can train anywhere you want using only your bodyweight. You develop great relative strength, or a great strength to bodyweight ratio. Since you are only using your bodyweight as resistance, the best way to improve is by getting rid of any unnecessary weight. This includes any fat and any unnecessary muscle. This great relative strength and loss of any unnecessary weight develops also tends to translate very well to most sports and daily activities. Aesthetically, with calisthenics reducing any unnecessary weight and developing great relative strength, you tend to develop a certain type of physique. A lean, fit, muscular physique. Similar to a gymnast with a perfect balance of strength, muscle, low body fat, agility and litheness. Driven by efficiency in maximising your strength to weight ratio. Calisthenics offer clear progressions to aim for such as achieving your first push up, muscle up or one arm pull up. You either can or cannot do the next progression. This is very different than to continuously increasing the weight on a barbell on a weekly basis using the same exercise. In a lot of ways it is a lot more rewarding, a couple of weeks ago you couldn't do the progression and now it is a reality, you have mastered the movement. Because most calisthenics progressions are based on reducing the leverage of certain body parts to make an exercise more difficult, there are an infinite number of variations of exercises in your journey to increased strength. Therefore, your training keeps changing and evolving as you progress, always keeping training new, exciting and fresh. You are mastering your own body and thus you are developing and involving a lot more flexibility and balance when doing calisthenics moves compared to weight lifting. Thus you are developing more skills, these skills indirectly raise your strength and endurance potential by increasing your general fitness base. This also translates to improved performance in different sports and functional activities. Most fitness goals can be achieved using only calisthenics whether it is to lose weight, gain muscle, improve in sports, and improve strength, health or cardiovascular fitness. 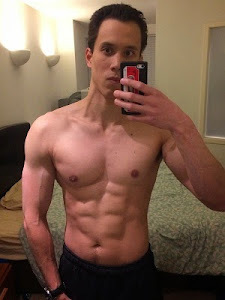 Now I am not saying that calisthenics is the best method or that weight training is worse than calisthenics. Weight training certainly has its place and advantages. But calisthenics is seldom done correctly and most people’s fitness objectives can be accomplished with calisthenics and its infinite progressions.